It’s been awhile since I’ve posted a Waiting on Wednesday just because I didn’t have any upcoming releases that I didn’t think everyone knew about. Finally this week all the Spring 2014 books are making the rounds so I’ve got some I’m pretty excited about. A deadly pandemic, a budding romance, and the heartache of loss make for a stunning coming-of-age teen debut about the struggle to survive during the 1918 flu. I fell in love with In the Shadow of Blackbirds by Cat Winters (my review and interview with Cat Winters) and after reading I needed to know more about the 1918 flu epidemic so I did some online research. 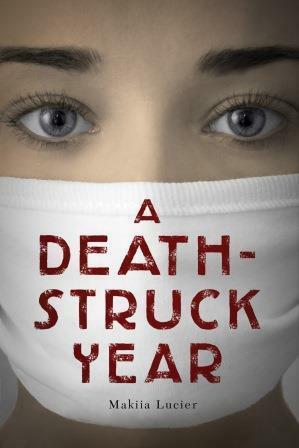 When I saw A Death-Struck Year I knew I’d want to read it for that reason. Great pick, Kristen. After the previous SARS and H1N1 flu which hit Asia badly a few years ago, I’m really scared if a worldwide pandemic happened in these modern days. Yep, this one is also on my list! It sounds very interesting, and as a health worker these kinda books are always very interesting! I hope it proves to be good! I love historical fiction and this one sounds really good! I’m developing more of an interest in this time period. Me too! I’ve not read much other than ItSoB about this time period but that book piqued my interest. I was also a HUGE fan of In the Shadow of Blackbirds — I’m a bit of a hypochondriac so I didn’t request this … yet. Maybe I’ll wait for your review. Great pick! Honestly, I’ve not requested it yet either. I can’t decide if it’s one I want to be required to review. This might be a side book to read at my own leisure. I still haven’t gotten around to reading In the Shadow of Blackbirds, but considering you loved it, I think it’s high time I made room in my schedule for it. I remember being really interested when I first heard about it, but then it got forgotten…you know how that goes. 🙁 I’m sure after I do read it, though, I’ll be adding this one to my TBR, too. Thanks for sharing! Oh, you must read ItSoB! It is so, so good. Please let me know when you start it. I want to hear your thoughts. This sounds really interesting — great pick!! This sounds really interesting and unique. I hadn’t heard of it before. This one’s new to me – thanks for putting it on my radar! I haven’t read In the Shadow of Blackbirds but I’ve been seeing some good things about it, so I think I need to pick it up at some point. ItSoB is one of my favorite books from this year. Just so beautifully done. Love Winter’s writing. I hope it’s good Catie! 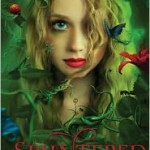 Funny enough as I read the blurb about this book I immediately thought of Cat Winters! haha I am adding this to my To Read list now. It looks really interesting! Me too Mel! I can’t wait to read Winter’s next books. Her writing is so perfect. Hopefully this book will be good.